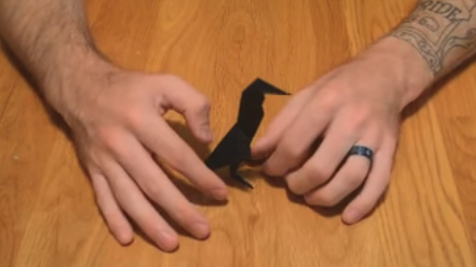 If you’ve ever tried your hand at making the popular Origami crane, you might recognize some of the folds that are used to make the Origami fish, known in Japanese culture as the Sakana. In fact, the first five or so steps in the process are identical to the crane-making steps. High-quality Origami paper is essential to the process of making any Origami creation. Origami Craze paper is designed specifically for creating Origami. It is lightweight and easy to fold, yet it is very difficult to tear and holds a crease well, so it’s perfect for Origami artists of all ages and skill levels. It comes in 35 vibrant colors, so you can use your imagination when it comes to making your Origami fish. 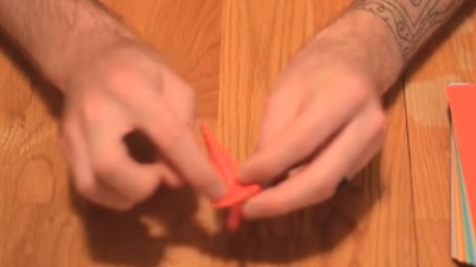 You’ll begin by making two “hot dog” folds (folds down the center of the paper) followed by two diamond folds. Next will be a series of several smaller tucks and folds. 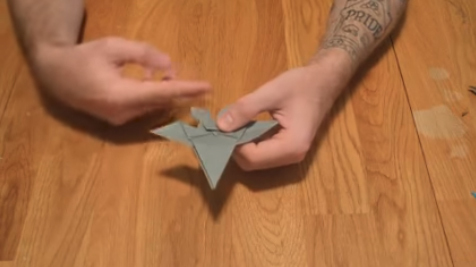 Finally you’ll have your Origami fish. Our Origami fish tutorial video will walk you through the process of making your fish step-by-step. The tutorial will provide you with clear visual instructions that even a child can follow. 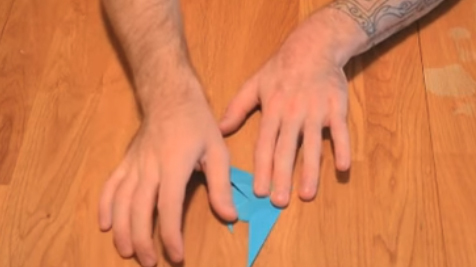 Don’t worry if your first Origami fish doesn’t come out exactly like the one in the tutorial. It takes a bit of practice to get the hang of it. Fortunately, Origami Craze paper comes in packages of 225 and 500 sheets so you can try as many as you need to! The fish or Sakana is an important animal and symbol in the traditional Japanese culture. The Japanese revere the wild fish for its tenacity and strength because fish will swim upstream, against the current, in order to reach a destination. In fact, some wild fish will even swim up waterfalls. For this reason, the Sakana has come to represent determination and courage. The fish is also viewed in Japanese culture as a symbol for happiness. It is said that the fish must be a happy creature because he is free to roam the rivers, lakes and oceans as he wills. Therefore, when someone is presented with an origami fish he is being wished happiness, well-being and good health. One of the most widely-told stories of the courage of the fish is that of the carp fish that swam up a great and powerful waterfall. The carp, in fact, climbed all the way up into the sky. As a reward for his bravery and strength the carp was transformed into a dragon. The Koi is another legendary Japanese fish. Resembling large goldfish, Koi have become popular additions to western backyard ponds. They are also popular choices in the west as tattoo art because of what they symbolize. The Koi fish is actually a relative of the carp. Koi are often brightly-colored, particularly in yellow or orange, but they can also be black and white. They may be solid in color, but are more often patterned with white and one or two other colors. Just like the legend of the carp, it is also said that if a Koi succeeds in climbing up a waterfall, it too will be transformed into a powerful dragon. The Koi is so well-known for its determination and powerful ability to swim upstream that it is actually said to be bad luck if a Koi is seen swimming down stream. The giant catfish, or Namazu, is another legendary fish known for its incredible strength. In Japanese mythology it is said that the Namazu lives under the mud of Japans islands. When he thrashes his great tail about, the Namazu causes earthquakes which can be destructive and even catastrophic. The Namazu is guarded by the legendary god Kashima whose watchful eye keeps the Namazu’s behavior in check. However, if Kashima lets down his guard or diverts his attention, the Namazu will seize the opportunity to thrash his tail and cause havoc.